Once you create a new project, there is a dialogue asking you on which Style Guide you want to base your project. This happens because you'll be able to access information defined in your Style Guide (such as colors, typography, etc.) from within your Workspace or the Frontify Sketch Plugin. 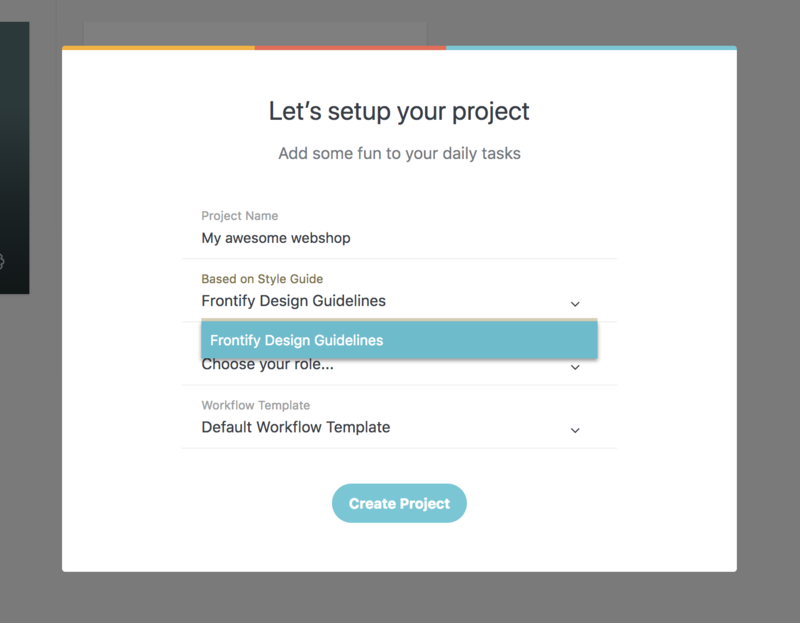 If your Frontify Sketch Plugin tells you that "Your project is not linked to a Frontify Style Guide", simply create a new project and choose the Style Guide with the relevant brand definitions for your current projects.